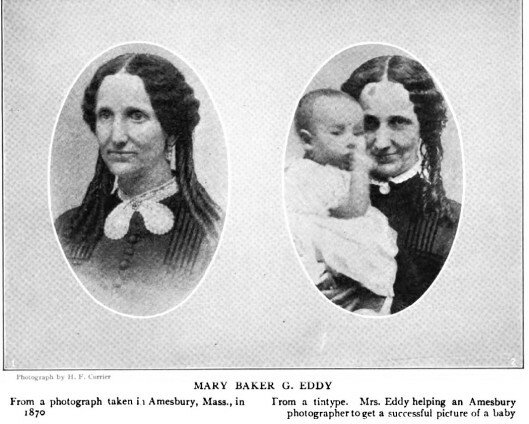 Sarah Osgood Bagley was one of Mary Baker Glover Eddy‘s first students. 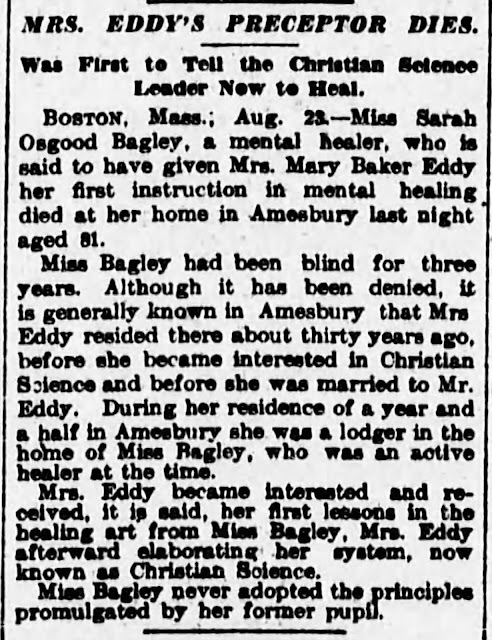 She was known as a Magnetic Healer (note her death certificate listed Mental Healer). 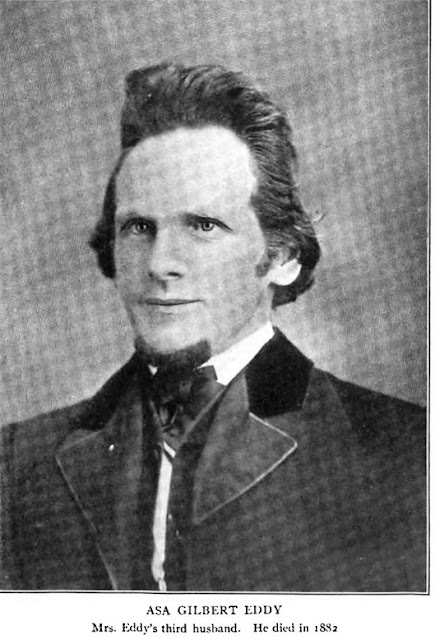 In July 1868 Sarah Bagley and Mary Baker Eddy made a house call to Amesbury’s poet John Greenleaf Whittier who had been suffering from various ailments–the main issue he complained of was incipient pulmonary consumption which Whittier noted, “If Jesus Christ was in Amesbury, he would have to have brass-lined lungs to live here.” The Pulpit and Press Volume 54. 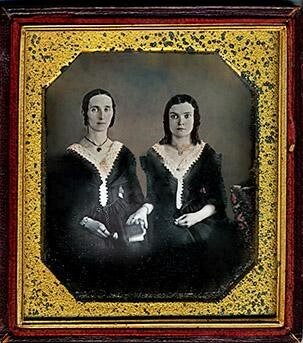 Mary and Sarah Bagley daughters of Lowell Bagley and Sarah/Sally Osgood, daughter of Samuel Osgood and Anna Hoyt d. of Joseph Hoyt and Lydia Jewell. 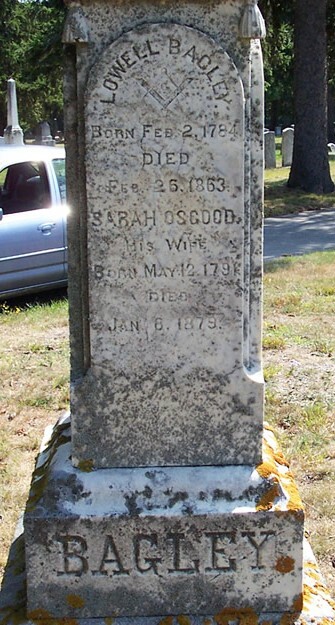 Samuel Osgood son of Samuel Osgood and Anna Barnard. 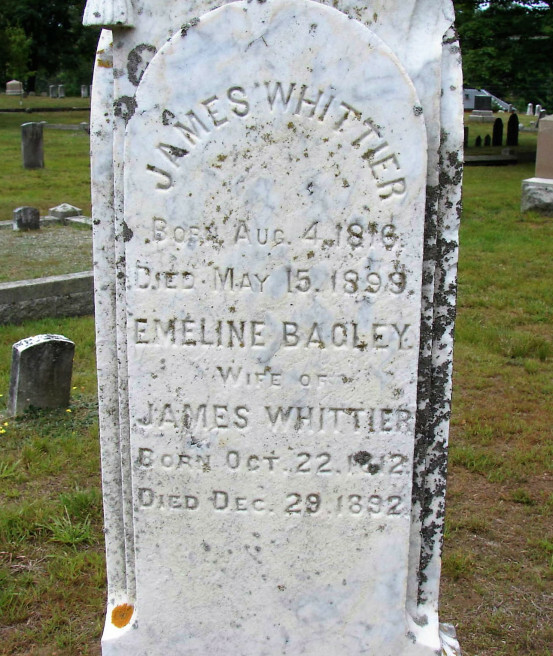 They also had a sister Emeline Bagley (1812-1892) married James Whittier, son of James Whittier and Mary Sargent. 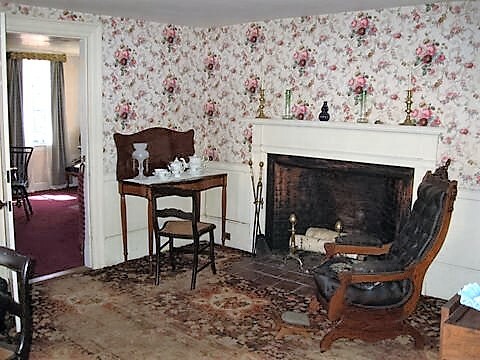 Photos from the Longyear Museum site of the Bayley home 277 Main Street in Amesbury, Massachusetts where Mary Baker Eddy stayed on two different occasions. 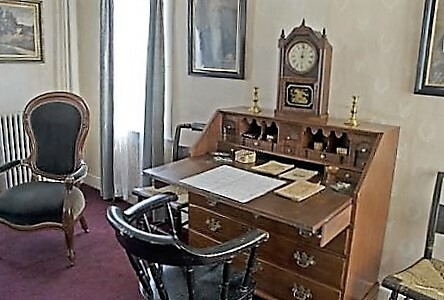 The house has been maintained by the museum, along with seven other historic houses in their collection that trace Mary Baker Eddy’s footsteps as Discoverer, Founder, and Leader of Christian Science. 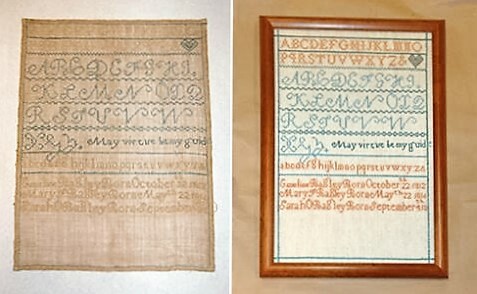 Sampler made by Sarah Osgood Bailey that is part of the Longyear Museum collection. When Mary Beecher Longyear purchased this house in 1922, it still held furnishings and personal memorabilia from the Bagley family. 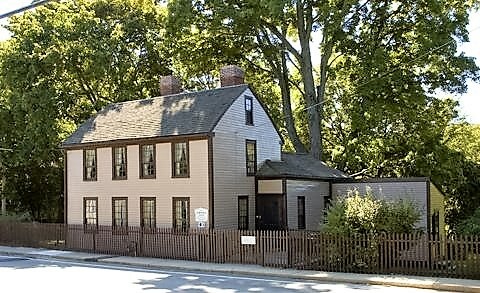 See “The History of a House: (built by Squire Bagley, in Amesbury, Massachusetts) Its Founder, Family and Guests.” by Mary Beecher Longyear. Mary A Morse Baker (1821-1910) d. of Mark Baker and Mary A Morse Baker and a direct descendant of Thomas Baker who immigrated from Kent County, England to Roxbury, Massachusetts. 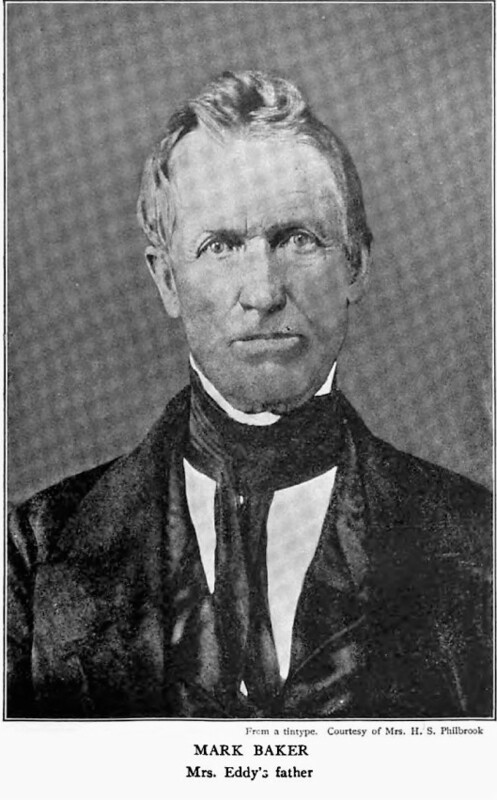 Mark Baker married Mrs. Elizabeth Patterson Duncan in 1850. Mark Baker was son of Joseph Baker and Marion Moore McNeil daughter of John McNeil and Marion Moore. Joseph son of Joseph Baker and Hannah Lovell/Lovewell, daughter of Captain John Lovell/Lovewell and Hannah Smith. Joseph son Thomas Baker and Sarah Pike, daughter of Rev John Pike and Sarah Moody, Daughter of Rev Joshua Moody and Martha Collins. MRS. ELLEN CLEAVELAND PILSBURY PHILBROOK. 45057 Born in Wethersfield, Conn. Wife of Edwin Philbrook. Descendant of Eliphalet Pilsbury, Joseph Baker, and Joseph Baker, Jr. Daughter of Luther Calvin Pilsbury and Martha Smith Baker, his wife. 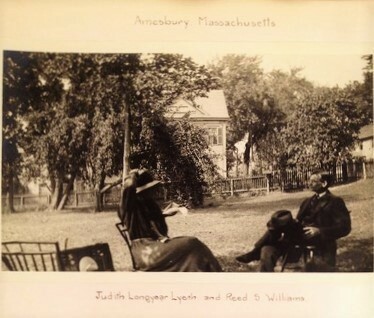 Granddaughter of Moses Cross Pilsbury and Lois Cleaveland, his wife; Mark Baker and Abigail Ambrose, his wife. Gr-granddaughter of Eliphalet Pilsbury and Elizabeth Cross, his wife: Joseph Baker, Jr., and Marion Moore, his wife. Gr-gr-granddaughter of Joseph Baker and Hannah Lovewell, his 1st wife, m. 1739. 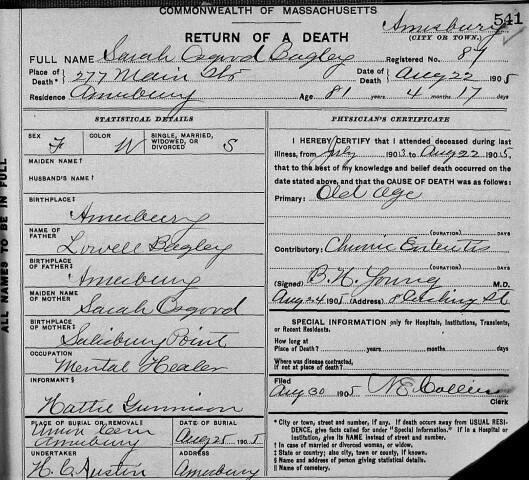 Eliphalet Pilsbury (1751-1824) was placed on the pension roll of Rockingham Co., N. H., 1818, for service as private, Mass. Continental line. He was born in Newbury, Mass. 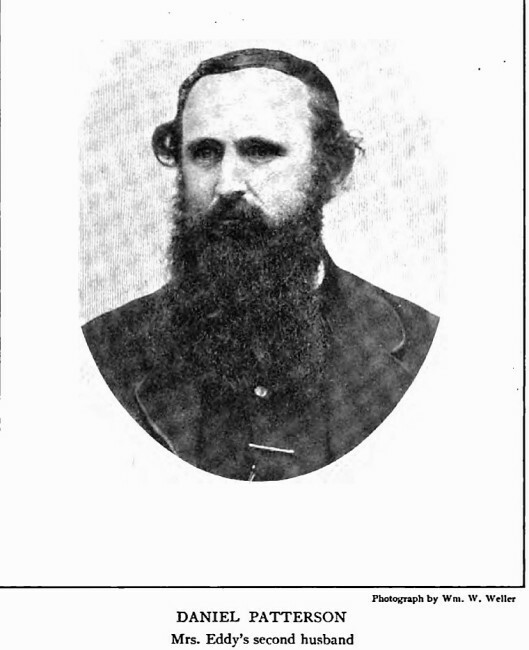 ; died in Chester, N. H. Also Nos. 16085, 40437. Joseph Baker (1714-90) was a member of the Committee of Safety of Pembroke. He was born in Roxbury, Mass. ;died in Pembroke, N. H. Joseph Baker, Jr. (1740-1816), served as a soldier in a New Hampshire regiment at Fort Washington 1779. He was born in Pembroke; died in Bow, N. H. Also No. 1423. 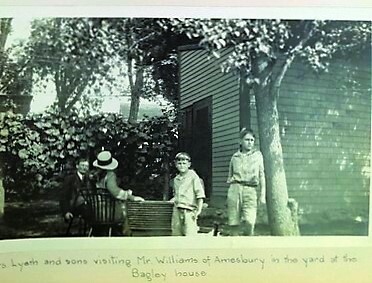 Warren NH Lodge Site for more on Amesbury Families including Bagley. 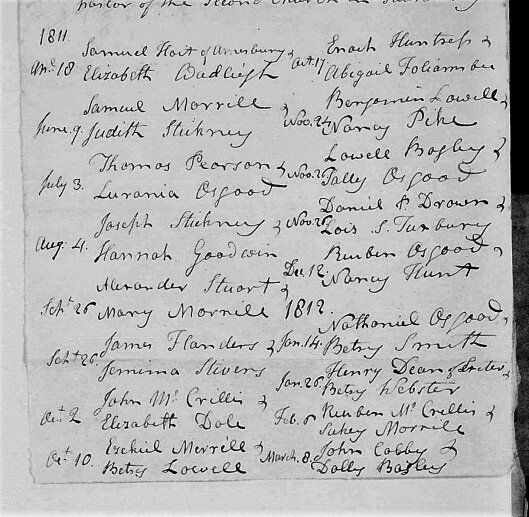 Marriages And Baptisms At South Hampton, N.H. 1743-1804.From A Ms. Copy Of The Church Record Published For Private Distribution By Geo. A. Gordon. As a Christian Scientist, I read with interest your recent blog on the relation between the Amesbury resident Sarah Bagley and Christian Science founder Mary Baker Eddy. You have clearly spent a lot of time and effort sharing the fascinating ancestral histories of New England residents on your blog site and I am one of your appreciative readers. I’m writing to share a few of my observations after reading your post. I admit your title was what originally caught my attention! I’d love to clarify the longstanding misconception that Eddy was a spiritualist or part of the spiritualist movement at that time. 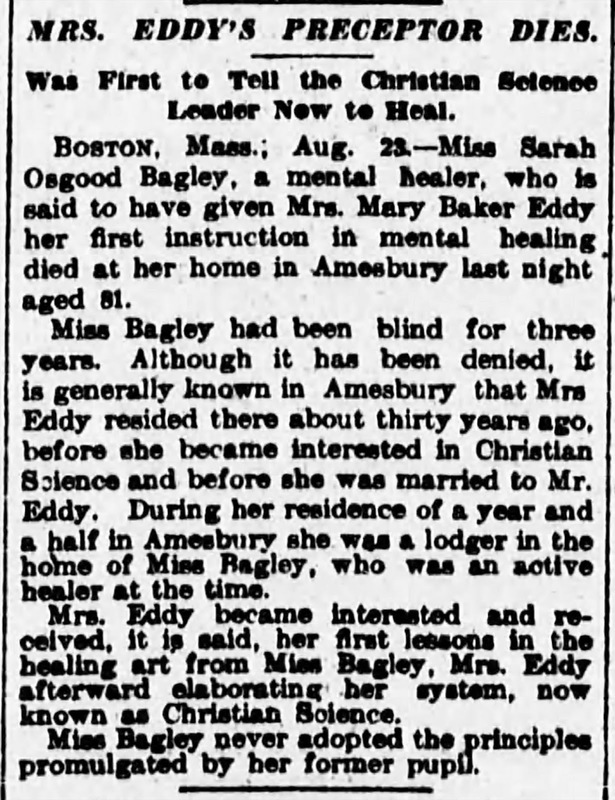 Sarah Bagley certainly was, and her own perceptions may have colored her later recollections on Eddy’s teaching. 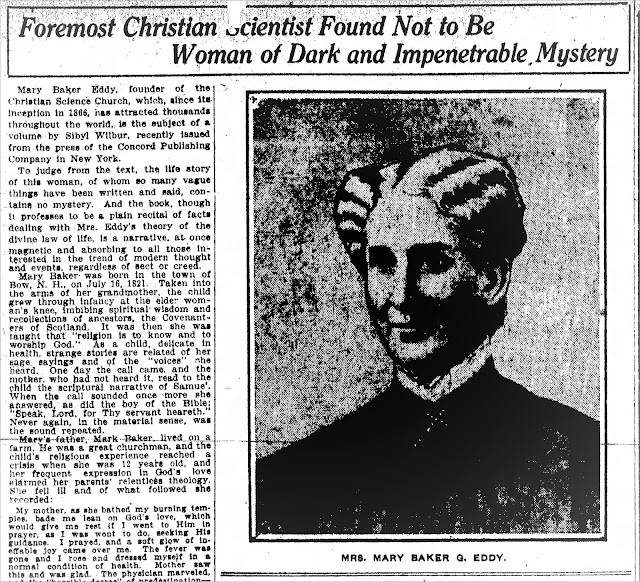 But the historical record and Eddy’s own writings make it pretty clear that she herself never became a spiritualist or agreed with its practices. As I’ve come to understand her life and work, she was a sincere student of the Bible and of Jesus’ teaching. Her life purpose evolved into helping others discover this deep love and understanding of God, which was not about the influence of “spirits” but instead leads toward the one Spirit for answers. 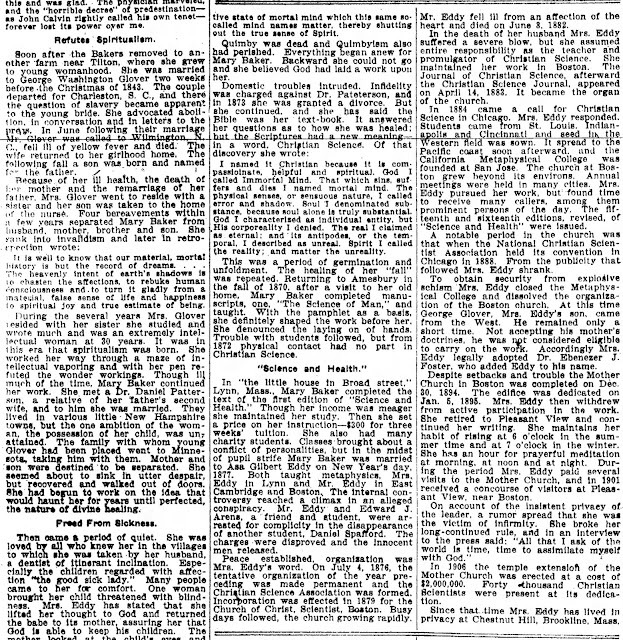 Eddy felt strongly enough about clarifying the distinction between spiritualism and her own teaching of the “Science” of Christianity that she wrote a chapter in her seminal work, Science and Health with Key to the Scriptures, called, “Christian Science versus Spiritualism.” In it, she writes, "I entertain no doubt of the humanity and philanthropy of many Spiritualists, but I cannot coincide with their views. It is mysticism which gives spiritualism its force. Science dispels mystery and explains extraordinary phenomena; but Science never removes phenomena from the domain of reason into the realm of mysticism” (Science and Health with Key to the Scriptures, p. 80). The Peel book, which is the first in a three-volume biography, sifts through the evidence on this and many other issues raised in Georgine Milmine’s biography, which you referenced in your article. 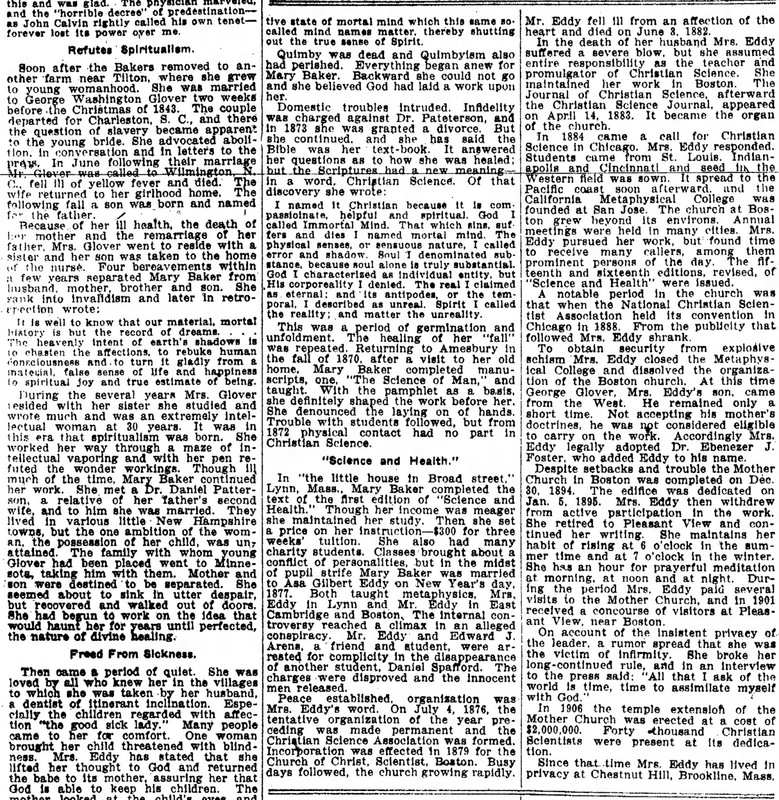 The Milmine book, as you might already know, was originally a series brought out by the famous “muckraking” magazine of the early 1900s, McClure’s. Women’s studies scholar Gillian Gill, who wrote the biography, Mary Baker Eddy, referred to the Milmine book “as much a work of polemic as a piece of reporting" (Gill, Mary Baker Eddy, Perseus Books, 1998, p. 568). By the way, I particularly appreciated reading your account of Whittier’s healing when he was visited by Eddy. I noticed that the Christian Science Hymnal today includes many of his poems set to music. One reads in part: “That healing gift God gives to them \ Who use it in His name; \ The power that filled the garment’s hem \ Is evermore the same.” That certainly describes the spirit of Christian healing that Eddy taught and practiced. I hope my comments and the background I shared are helpful to you. Thanks again for sharing your research and findings on your website.